Gray developed his passion for the environment at an early age, during summers spent at camp in Henderson County. A native of Raleigh, the mountains and rivers of southwestern North Carolina held a special place in his heart. While studying toward his undergraduate degrees at the University of North Carolina at Chapel Hill, Gray would return to Henderson County to teach paddle sports during the summers. Gray went on to earn a law degree and masters from Vermont Law School before returning home to North Carolina. 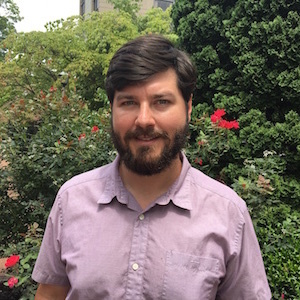 He has experience working in nonprofit land conservation, interning in the private sector and government, practicing law with a small private firm and most recently served as Staff Attorney & Communications Coordinator for Waterkeeper Alliance in Raleigh. Gray‘s background in environmental policy, law and advocacy give him an excellent understanding of the scientific underpinnings and the regulatory framework governing environmental protection, as well as the intersection between society and nature. 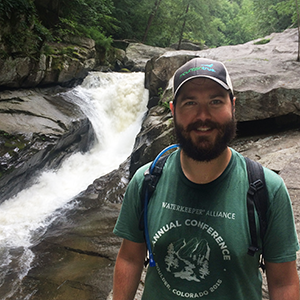 As MountainTrue’s Southern Regional Director, he works to protect and enhance the special places we share in Transylvania, Henderson, Polk and Rutherford Counties. As our Green Riverkeeper, Gray brings together and empowers local residents and communities to identify pollution sources, advocate for and enforce environmental laws and engage in restoration. We value mountain communities that are vibrant, livable, and respectful of their connection to and dependence on the region’s natural environment. We value the integrity of natural systems – air, land, water, and native plants and animals – and believe in protecting and restoring them for the benefit of all generations.